Reintegrating an employee into your workforce after a prolonged period of absence can be a difficult process. Not only do you need to determine the best way to get them back up to speed, you’ve got to navigate the many financial and insurance complications that tend to arise. Let’s take a look at how your organization can create a return-to-work policy that helps the process go as smoothly as possible and a system that can make managing this process much easier. The first step in successfully reintegrating an employee back into your workforce is to consider where they’re coming from. Returning to work after a prolonged absence can be very stressful for your employees. They might feel a lack of confidence in their abilities, for starters. Change can happen fast, and your returning employee will have to reestablish themselves or carve out a new role at your organization, which can add to an already stressful situation. You must have a plan in place which gradually reintroduces returning employees to their responsibilities while transitioning to their pre-incident physical demands. And remember: this goes both ways, as employees who had to fill in to temporarily replace the functions of this absent employee will also have to make a transition back to their original roles. Outlining this plan is a key step in building out your return-to-work policy. The first major question you should ask yourself when putting together your policy is if you’ll allow partial return-to work so that employees who still face some medical restrictions are allowed to work on a basis that matches their level of comfort and ability. If you will allow partial return-to work, this may mean switching employees to a part-time schedule, modifying their tasks to accommodate for any medical restrictions or having them on different tasks while they recover. The goal of programs like this is to get employees back in the office or job site sooner — before a full return would be possible. This serves a very important function, as the Job Accommodation Network (JAN) notes that the likelihood of an injured worker returning to work drops to 50% by the 12th week of leave. It may seem more difficult to work around a complicated schedule like this, but remember that the cost of having to fully replace an employee is much more significant. Imagine being stuck in a holding pattern, waiting for an employee to return only for so much time to pass that they no longer feel up to it. That could add up to three months of lost or severely hampered productivity. Another key aspect of your return-to-work policy should be detailing how your policy integrates with your organization’s workers’ compensation and disability programs. These programs are regulated on a state-by-state basis with no unifying federal oversight, meaning there can be a huge disparity as to what is required of an employer, what is covered by the state and how a return-to-work policy fits into the picture. “Most states have provisions in their workers’ compensation programs to encourage the transition back to work of program beneficiaries through partial disability benefit payments. It is important to bear in mind that only a small proportion of work disability is covered under workers’ compensation programs. Less than 5% of disabling accidents and illnesses are work-related. It's important that your program management team is not only well versed in your state’s requirements, but that you have a proactive, integrated approach to preventing absenteeism in the first and ensures the best outcomes for your employees and organization when incidents occur. A successful return-to-work policy brings the immediate positive outcome of getting a valued member of your team back to work quicker, but it also has more intrinsic benefits. Your other employees will notice how one of their own is treated, and if done considerately, this can be an invaluable boost for your organization. 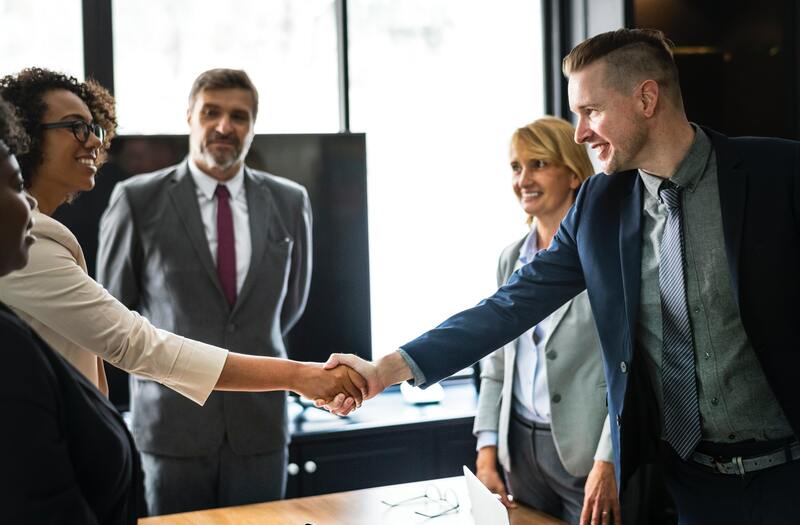 A lot of companies talk about how they “put employees first.” Helping employees return to work after a prolonged absence and working with them to ensure a smooth transition is a tangible way for your organization to show real care that will not go unnoticed. This positive impression can lead to increased employee retention and strong word of mouth, helping you attract better talent. Of course, all of this is easier said than done. While building a return-to-work policy and keeping it handy is important, you also need a system in place that helps your employees remain healthy and productive in the first place and ensures they have access to the necessary treatment and resources they need to quickly return to the workforce. IPMG’s In-Sight program gives you a comprehensive view of your employee health, injury, workers’ compensation, absence and engagement activity within one fully integrated platform. In-Sight will even track and record the hours your employees miss of work due to illness or injury. With the support of specialized implementation teams who leverage this data, organizations can easily catch small health issues before they lead to prolonged absenteeism and increased claim costs. In short, In-Sight minimizes risks and promotes a healthy, productive workforce, so that while you’ll still need a good return-to-work policy, you’ll have fewer instances in which it needs to be used. To learn more about this In-Sight, click here.